Way back in the 1950s, two French scholars named Jean-Paul Vinay and Jean Darbelnet explored the linguistic aspects of translation. The field of Translation Studies didn't really exist at the time, so most of what Vinay and Darbelnet did was considered comparative literature. When looking at the work of Vinay and Darbelnet, the term contrastive linguistics seems much more appropriate, as what they did was look at the differences between two languages in order to inform their understanding of both of them. While other scholars sought to merely compare two languages in order to inform the relationship between them, Vinay and Darbelnet looked at the process of translation. Unless you are one of these people that confuses borrowing and lending, then this should cause you little trouble. Borrowing is the idea of taking the word from the source language (SL) and maintaining it in the target language (TL). It is considered the simplest of the procedures and tends to be employed in two situations: either when discussing a new technical process for which no term exists within the TL, or when maintaining a word from the SL for stylistic effect, in which the translator uses the foreign term to add flavour to the target text (TT). A calque is when an expression from the source text (ST) is transferred literally into the TT. Calques either follow the syntax of the TL while translating each word literally or ignore the syntax of the TL and maintain the syntax of the SL, rendering the calque in an awkward syntactical structure in the TT. The third translation method is only to be used under certain circumstances according to Vinay and Darbelnet. The idea of translating word for word in a way that does not alter the meaning is considered an acceptable use of literal translation by the two scholars. Literal translation, put simply, expands the scope of a calque but in a much more acceptable way. Vinay and Darbelnet referred to transposition as changing word class without changing meaning. This refers to when translators (often without thinking) change the word type, such as from nouns to verbs. Vinay and Darbelnet considered transposition to be either obligatory or optional, and referred to the ST as the base expression and the TT as the transposed expression. The fifth of Vinay and Darbelnet's procedures is modulation. Modulation refers to rendering the TT from a different point of view to that of the ST. Vinay and Darbelnet consider this procedure to be necessary when the results of the former procedures would produce an awkward-sounding translation, despite it being grammatically, syntactically, and lexically correct. Modulation is a way for the translator to find a degree of naturalness in their TT without sacrificing any meaning or accuracy originating from the ST.
A great example given by Vinay and Darbelnet shows how the double negative construction used in English is uncommon in French, and how modulation would render this in French as a simple affirmative statement using a positive modifier. The idea of equivalence can be simultaneously simple and complex in Translation Studies. Vinay and Darbelnet explain equivalence as something almost inherently cultural, using the example of someone expressing pain. In English the term "ouch!" is used, while in French, a literal rendering of the sound would be of no use to the reader. Instead, the equivalent of "ouch!" in French is "aïe!". Both words would immediately indicate to readers that there is some level of pain involved. Equivalence also relates to idiomatic expressions, whereby all the lexical and grammatical elements are there but translating literally would leave a reader confused. In fact, you can't "speak of the devil" in French, as in the equivalent expression they speak of a "wolf". 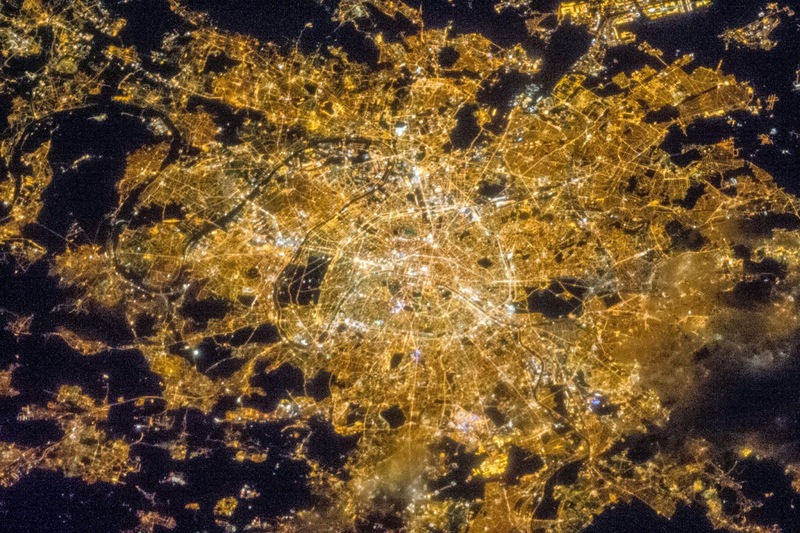 The beautiful city of Paris at night, complete with banlieues. The most complex of Vinay and Darbelnet's translation procedures is the final one, adaptation. Adaptation is similar to equivalence in the way that the translator seeks to render the SL into the TL whilst ensuring it is just as relevant and meaningful as the original was. Imagine the ST mentioned something that was so undeniably English that translating it into French would have absolutely no meaning, or vice-versa. At that point the translator must use adaptation. A brilliant example of this is the term banlieue, which can be a bit of a double-edged sword when translating into English. While the suburbs of French cities can be rich or poor, the term has been increasingly used to describe run-down areas of cities with low income housing, which is not the idea that springs to mind when the English hear the term suburbs. In this case, a translator would be forgiven for translating banlieue as council estate (UK English) or even the projects (US English). That's all of Vinay and Darbelnet's translation procedures. What did you think of them? Do they apply to translators now or are they an oversimplification of the work that translators do? Tell us in the comments below!